Voltage Wireline is working in partnership to bring advanced fibre optic sensing technology to the Oil & Gas industry. Voltage has a strong technical sales and service team dedicated to the deployment and advancement of this technology, both in field applications as well as data processing and interpretation. Ever expanding technologies are closely followed to best maximize our use of the newest and best products available. 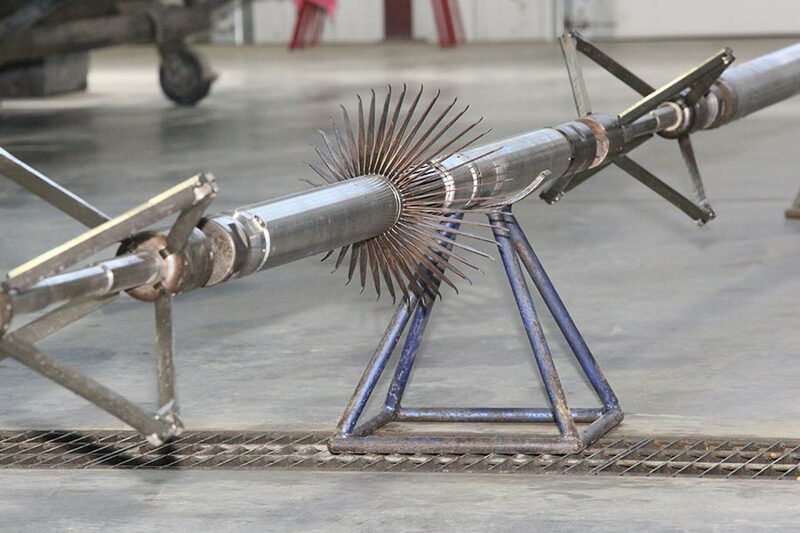 Voltage Wireline has helped develop and tailor custom logging suites to help solve the ongoing issues of Surface Casing Vent Flow (SCVF) & Gas Migration (GM). 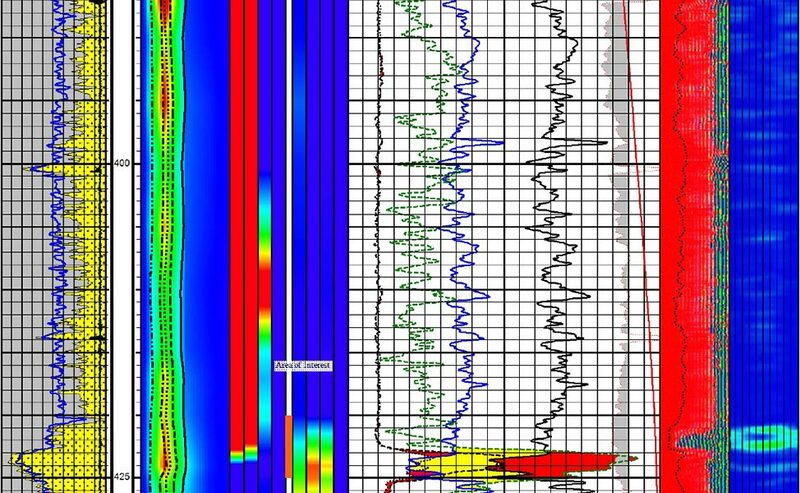 Working with industry leaders in Fibre Optic and formation evaluation technology, Voltage’s dedciated team of Log Analyst’s and technical staff have proven to be accurate and efficient in SCVF & GM source identification. These services can be conveyed in real time with E-line or E-coil. 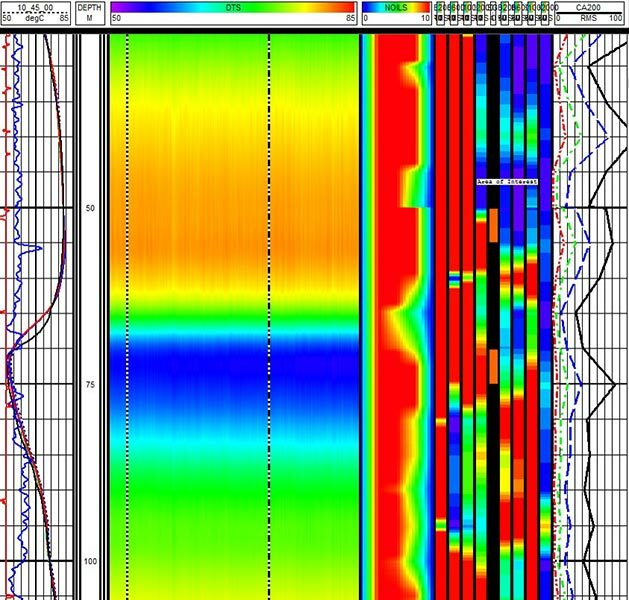 Voltage Wireline uses the Sondex MuliFinger Imaging Tool (MIT) in combination with the Magnetic Thickness Tool (MTT) to inspect casing or tubing defects including metal loss, drilling wear, corrosion, deformations, cracks, holes and scale build up. These tools have a proven track record for accuracy and reliability and are accepted by the AER as a compliant alternative to directive 51 and Directive 36. This service can be conveyed in real time with E-line, E-coil or in memory mode with standard coil tubing or slickline. 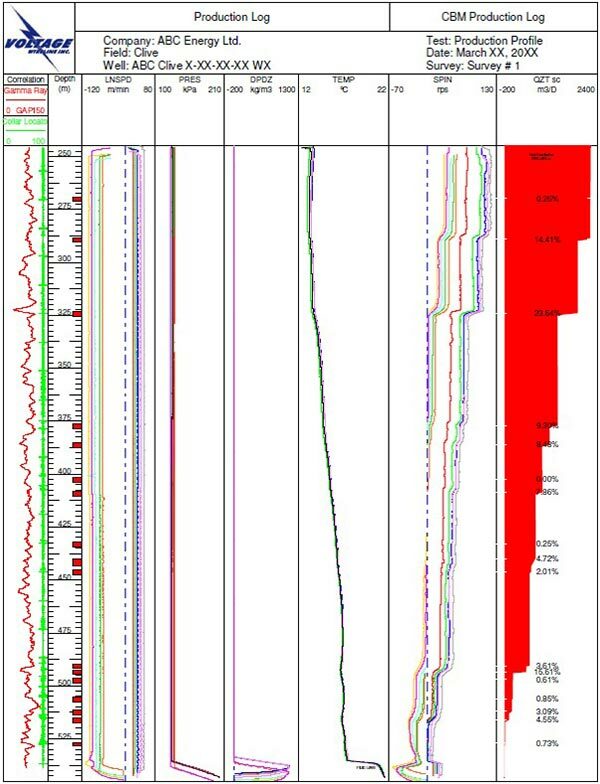 Whether it be production or injection profiling, Voltage Wireline has a wide range of production logging tools that are used for vertical, and deviated wells. Our Production Logging tools are completely combinable and provide accurate measurements of flow velocity, gas hold up, fluid velocity, fluid density and other auxiliary measurements. These services can be conveyed in real time with E-line, E-coil or in memory mode with standard coil tubing or slickline.